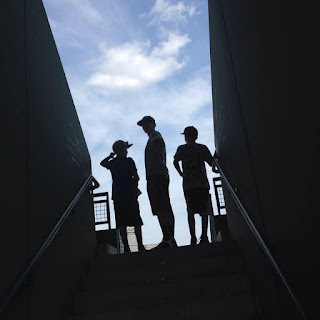 Now that school is over...or just about...here are some fun happenings going on at Fenway Park this month that you may want to take advantage of with the kiddos! The Red Sox will again be hosting "Out of the Park on Sunday, June 12. 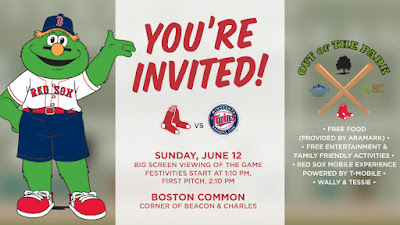 They will have a jumbo screen in Boston Common to watch the Sox vs. Twins game. It's a free event with food and entertainment, plus this will offer a sneak peek of the new Red Sox Mobile Truck. Fenway Park will host a "Dog Day at Fenway" event, when fans are invited to bring their dogs to the ballpark for the evening. Fenway Park will be open to fans and their canines from 5:30-8:30pm. A "Dog Park" and pet-friendly businesses will be set up in the Big Concourse where water bowls and activities will be provided. Fans can also bring their pets out to the warning track for photos in front of the Green Monster. The World Series trophies will also be on hand in the seating bowl for photos. Tickets for Dog Day at Fenway are $10 for adults, and children 14 and under (and dogs!) enter free. Ferris Bueller's Day Off, the classic 80's comedy, will be featured. Event is free for Red Sox Season Ticket Holders. General admission tickets for the public are priced at $10 for adults and $5 for children 12 and under.